Lost along a dusty stretch of highway, the town of Thimbleweed Park once boasted an opulent hotel, a vibrant business district and the state’s largest pillow factory, but now it teeters on the edge of oblivion and continues to exist for no real reason. It’s a town that makes you itch and your skin crawl. It’s a place no one ever looks for, but everyone seems to find. 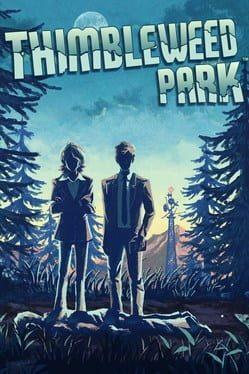 Thimbleweed Park is the curious story of two washed up detectives investigating a dead body found in the river just outside of town. It’s a game where you switch between five playable characters while uncovering the dark, satirical and bizarre world of Thimbleweed Park. Thimbleweed Park is available from 14.90 to 19.99 from 1 shops.